I've been working on the above page for weeks, a little here, a little there. I really like how it turned out in the end. 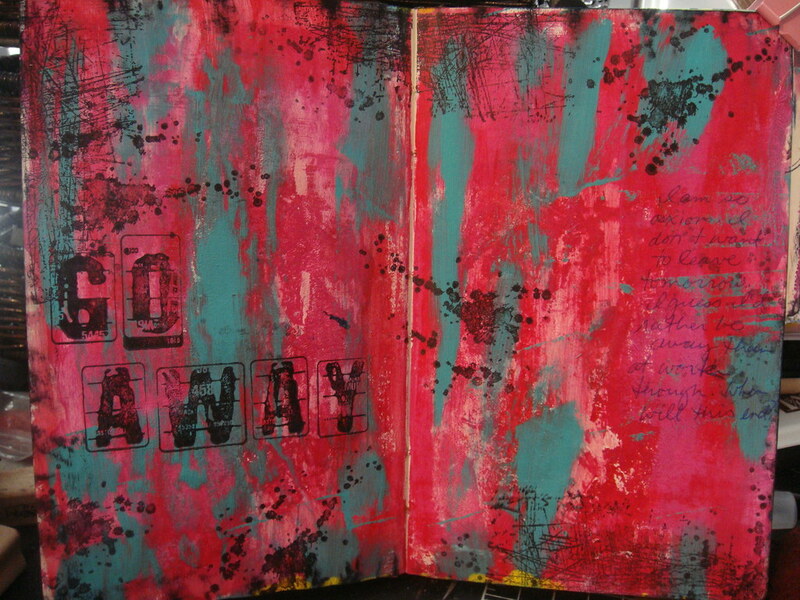 Really like your "go away" spread!! Love the colors!! Have I told you lately how very much I love your journal pages?? I do! They're just fantastic!! Love the way you created the fire! 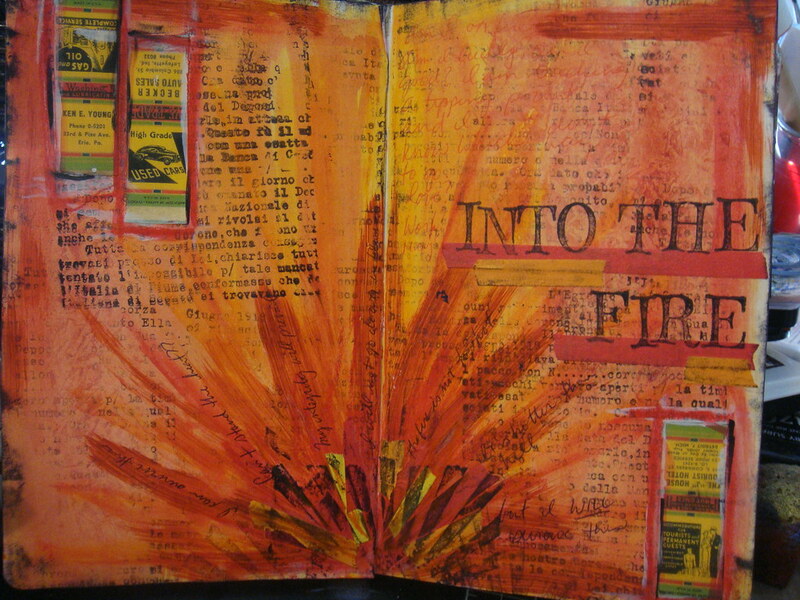 Ooh the into the fire page is fabulous!! I really love that one. They are all gorgeous, but that one really strikes me. Really inspires me. 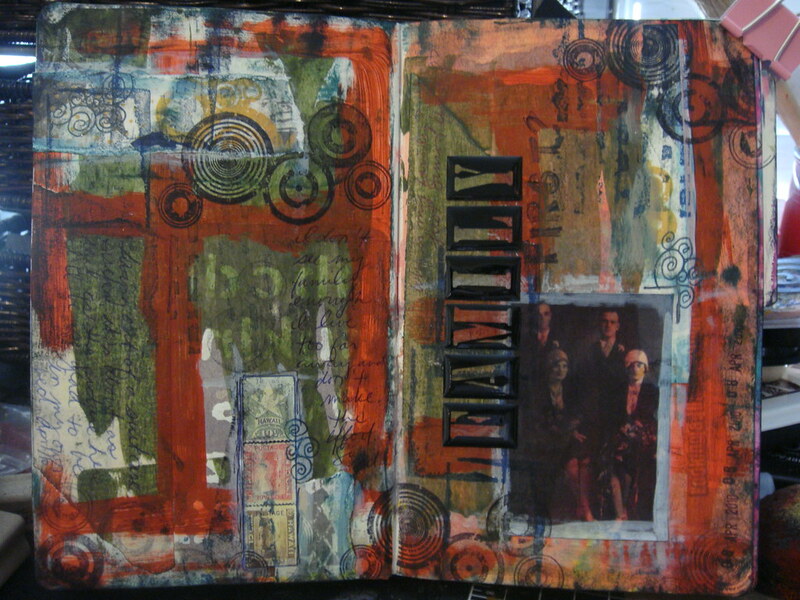 I do love myself some Tim Holtz products too. They are so versatile. Is it hard to find his stuff in Canada? Each of these pages are just incredible! I really want to go to Archivers now to get those Tim Holtz stamps!! LOVE 'em, especially the first one. OH MY GOODNESS, I just love these! Sorry I haven't visited in a while; but I have to tell you that your first page here is just stunning. I get what you mean by saying it took weeks. I used to think I had to start and finish a page before doing anything else. But now when I get stuck I just move on and add layers and bits when the urge strikes instead of forcing it. I have lots of pages in progress at once, I bet you do too!